Many parents wonder when their child will begin to demonstrate an obvious hand preference, or hand dominance. There can be a lot of variability in the age of the child when this happens, and this should not cause parents to worry. 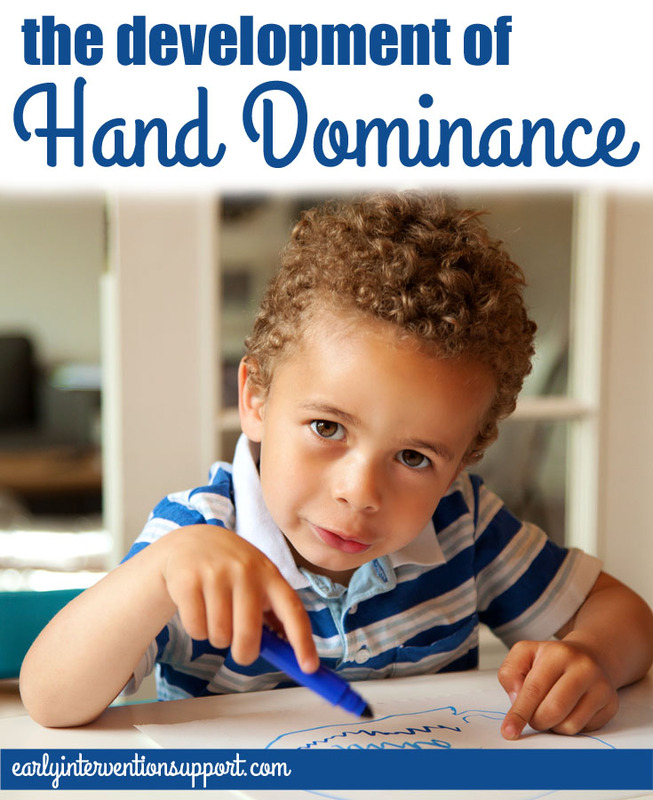 Generally speaking, children typically develop hand dominance around the ages 2-3 years, with handedness becoming fully developed at around age 6 years, after they have started school. As toddlers become more skilled with fine motor activities (e.g. turning book pages, scribbling, self-feeding), we usually start to notice that they will use one hand more frequently than the other. This preference for one side is also usually seen in how they kick a ball, chew food, and squint to look at something far away. Parents do not typically need to do anything special to help a child develop hand dominance, other than give the child plenty of opportunities to develop fine motor skills during play, and to participate in a variety of activities that allow use of both sides of the body. 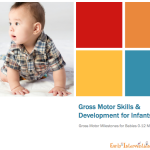 Gross motor activities, such as running, climbing, going over and under obstacles, swimming, riding a scooter or tricycle, and roughhousing will help lay a strong foundation for the development of handedness. Fine motor activities such as scribbling, stringing beads, cutting with scissors, manipulating Play-Doh, and opening clothing fasteners will help refine a strong dominance. While parents are waiting to see what hand a child will prefer, they can help “nature take its course” by offering toys and tools at the middle of the child’s body, so that he can pick it up easily with either hand. Sometimes there are delays in the development of hand dominance. Whether or not parents should worry depends on how things are going at home and in school. If the child is experiencing frustration, or seems to have difficulty doing things that her peers are able to do, it may be helpful to talk to the pediatrician about getting an occupational therapy evaluation. Texas Child Care. Spring 2007. Pp.36-42. Which hand? Brains, fine motor skills, and holding a pencil. Q&A: Is It Normal for a 4 Year Old to Hold His Book Upside Down?